In 2002, the year PS I Love You executive director Jo Diaz began keeping records, there were some 60 growers and producers of Petite Sirah (PS) in California. Now, owing in part to her tireless efforts, Ms. Diaz may proudly count in excess of 126 growers and a staggering 723 producers in the state. 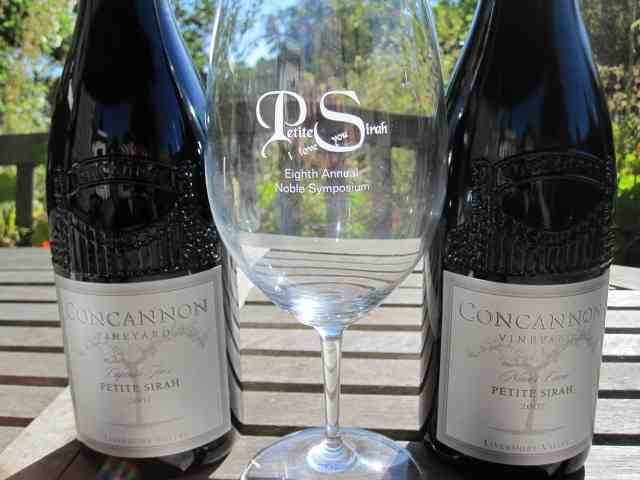 And on July 27th at PS pioneer Concannon Vineyard in Lodi, California, was held what has become Petite Sirah’s State of the Union celebration. But by far and away it was the presentations by Tyler Colman, aka Dr. Vino, Dan Berger of Vintage Experiences, and Clark Smith of Grape Crafter that pointed toward Petite Sirah’s future, certainly with respect to extra-viticultural matters such as developing greater marketing sophistication, the education of a new generation of palates, and of getting a handle on just how the grape’s expression varies with terroir. These new themes indicate just how far Petite Sirah has come since its slow recovery from free-fall, bottoming out in 1995. Now more confident in the grape’s potential, its wider public recognition, and the dawning recognition of social media, growers and producers appear to want to hear more about where they go from here. Mr. Colman, this year’s keynote speaker, discussed the marketing angle. Though it is not clear how many of the assembled knew who he was, his message was clear: Develop new commercial strategies; take a page from successful advertisement campaigns. In a talk titled Can Petite Sirah Become the Next Pinot Noir?, he advocated the use of humor and novelty. With the film Sideways still casting a shadow, Mr. Colman noted the Old Spice spokesman had gone viral, for example. The idea is to take advantage somehow of the grape’s marginal status, to turn public insouciance into a strength. After all, video cameras are cheap, the Internet, cheaper. Creativity, however, is the rarer thing. Dan Berger provided very incisive commentary, as one might expect. Anti-authoritarian to the core, his was a call for skilled judges. To the degree that Petite Sirah remains misunderstood, its many variations generally unrecognized even by the wine cognoscenti, Mr. Berger asks—no, demands that the critical establishment retrain their palates to properly taste the new generation of the grape’s expression. Clark Smith’s riff titled Understanding the Terroir of Your Petite Sirah underscored his praiseworthy, if imprecise, project of teasing out the specific qualities terroir variation, in the grandest sense, may bring to the grape. 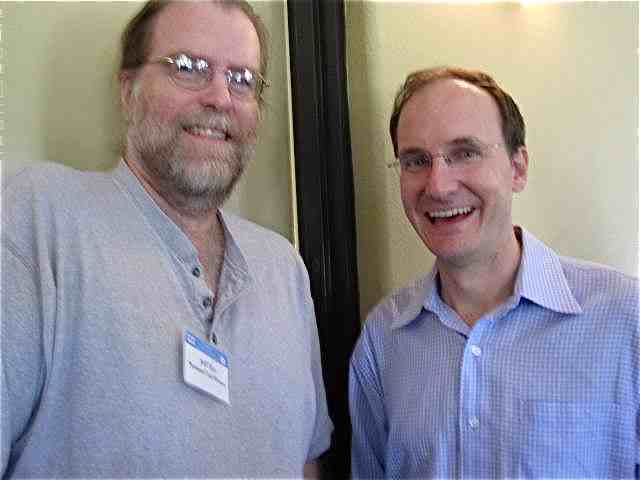 The self-styled Charles Kuralt of American appellations, he promises to do for PS what he has done for Santa Cruz Mountains Pinot Noir. 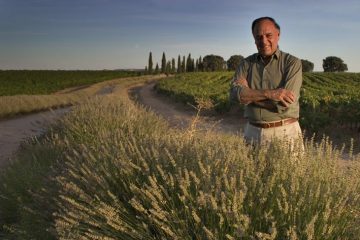 Interestingly, his vision is at odds with Christophe Paubert of Stags’ Leap. For Mr. Paubert, his is the pursuit of a kind of blended PS cuvée from diverse sites. Mr. Smith finds lasting virtue in site-specific expressions. The question then becomes whether a winery’s Petite Sirah style ought to reflect what their given terroir reveals or whether they should pursue a flavor profile that, while varietally correct, is the winemaker’s alone. As a personal matter, I am squarely in Mr. Smith’s camp. For when the formal tasting began, I was yet again amazed at the range of PS expressions. From the brassy CrushPad upstart Jazz Cellars’s Eaglepoint Ranch and the subdued, almost whispering Blessings from Aver Family Vineyards; to Spangler’s Terraces and a most unusual barrel sample from newcomer Nottingham Cellars; from Parducci’s True Grit to Mounts’s Petacera, the diversity is compelling. Mr. Berger’s point is well taken. Today’s Petite Sirah demands fresh palates. 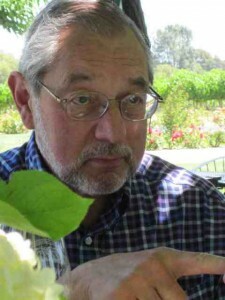 Ken Payton lives in Santa Cruz and writes the blog Reign of Terroir. Sounds like I missed yet another good time! Glad to h ear that variety is alive and well with that, well, variety. Cheers! You always do such an amazing job of taking notes, retelling your impressions, as well as enlightening your readers. Loved having you for the second year in a row! Always wonderful to see what you’ll write… your impressions… after an event we’ve attended together. Thanks, Ken, for your continued support, enthusiasm, and intellectual property! Sorry, didn’t see that my first one went above the Tweet… Just delete, thanks. My pleasure, Jo. I will write something about the event on my own blog in due course. Thank goodness Dr. Vino granted me a brief interview. I’ll be able to more fully explore his take. Very please you ceased that opportunity!